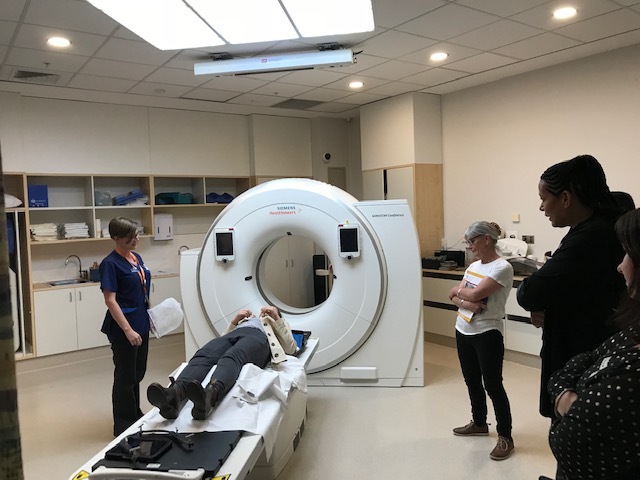 Targeting Cancer’s advocacy efforts in New Zealand received another boost with a successful GP radiation therapy awareness event at Wellington Regional Hospital’s Blood and Cancer Centre. Several GPs, palliative care-coordinators and hospice and cancer care nurses were among those who attended the event, which aimed to boost knowledge of radiation therapy as curative and palliative treatment options for cancer patients. Tanisha Nagar, Radiation Therapist at the Wellington Blood and Cancer Centre, said the session was important for several reasons. “It is vital GPs know the various options and what services the radiation treatment department at Wellington Blood and Cancer Centre has to offer,” she said. 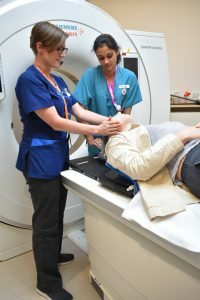 “It was also a great opportunity to explain how patients can be referred to our service or be contacted if they need advice from a radiation oncologist, as well as how health professionals can follow the patients’ treatment pathway. The Wellington event provided an excellent opportunity to spread the word about radiation therapy. “Clinicians can play an important role in promoting knowledge and awareness of radiation therapy. About 22,000 new cases of cancer are diagnosed every year in New Zealand, underlining the need for patients to be aware of all treatment options. Since its launch in 2013, Targeting Cancer has provided support to more than 50 GP/radiation oncology awareness events in Australia and New Zealand. “We’re delighted with the increasing support the campaign is receiving from New Zealand clinicians,” Targeting Cancer Clinical Lead A/Prof Sandra Turner said. “Their support and enthusiasm has been amazing. “Helping New Zealand cancer patients become more aware of radiation therapy was always one of the key aims of Targeting Cancer. Mock-up examinations were used to show how radiation therapy treatment works. Any New Zealand radiation therapists, radiation physicists and radiation oncologists keen to get involved or discover more information should email info@targetingcancer.com.au for further details. For more information on how radiation therapy can help patients in New Zealand and Australia, click here. Click here to read the recent New Zealand Doctor article on addressing the lack of radiation therapy utilisation in New Zealand.